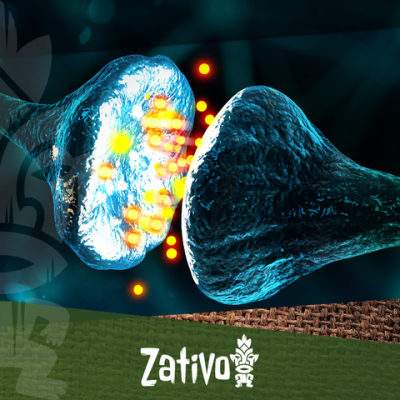 The endocannabinoid system consists of certain receptor sites upon cells of the human body, that interact with compounds found within the cannabis plant in very specific and effective ways. These receptor sites are activated primarily by compounds already within the human body, known as endocannabinoids. Yet molecules found outside of the body and within cannabis plants, known as cannabinoids, are structurally very similar to these molecules and therefore activate the same receptors. Both THC and CBD interact with these sites to profoundly effect appetite, immune function and pain management, among other factors. The cannabis plant has been used medicinally for thousands of years. Prohibition of this miraculous herb is only a recent occurrence, and the propaganda and falsification supporting it is beginning to crumble at the hands of scientific evidence and avalanches of anecdotal accounts. While cannabis is extremely popular as a recreational herb that induces pleasant and mind expanding highs, smoking the herb is only a tiny example of the medicinal powers, that this herb holds. Edibles, tinctures, oils and high potency extracts are the best options for patients to saturate their biological systems with the molecules they need. Science is confirming, that cannabis has a positive effect on a vast array of ailments and illnesses from the physiological to the psychological. From anxiety and depression to Crohn's disease and glaucoma, cannabis seems to fit the bill. Even more serious chronic diseases, such as epilepsy and Alzheimer's’ disease, that seemed incurable, are being positively affected by cannabis medicines. With such a broad range of action it is extremely easy to see why a person arms up with a sceptical view when it comes to the medical potential of cannabis. Why would one naturally occurring herb work so effectively against such a multitude of serious ailments? This is because cannabis does not interact with the body like other plants. It works in a very specific and effective way via the endocannabinoid system. The endocannabinoid system is present within the bodies of many animals, the human body included. It is a biological system, that strives to bring the human body into a state of homoeostasis, or balance. This system is made up of an array of receptors present on cells throughout the human body. These receptors react specifically to molecules found within the cannabis plant. Although most of us are familiar with the well-known phytocannabinoids THC and CBD, there also exist endocannabinoids, such as anandamide, that share very similar molecular structures to the molecule found within cannabis. THC and CBD are recognized by receptors within the endocannabinoid system and they trigger processes, that lead towards a state of biological balance, hence why they are so effective at treating a whole host of illnesses. This incredible system was discovered by Dr. Ralph Mechoulam of the Department of Medicinal Chemistry and Natural Products at the Faculty of Medicine at the Hebrew University of Jerusalem. Dr. Mechoulam was also responsible for the discovery, that THC is the main active constituent of the cannabis plant. This godfather of cannabis realized that the endocannabinoid system consists primarily of two receptors: The CB1 receptor and the CB2 receptor. The CB1 receptor interacts with THC in a very specific way. These receptor sites are located mainly at the sites of the brain and reproductive organs in both males and females. As well as assisting many in achieving a psychoactive high, THC is a powerful agent in treating pain. CB2 receptors, on the other hand, are largely found at sites outside of the nervous system, such as at the immune system. CB2 receptors seem to have an intimate relationship with the well known medicinal cannabinoid CBD, which ignites a powerful anti-inflammatory response. Keeping in mind the fact that cannabinoids react to the body in such specific ways, there is an abundance of science displaying the application of these molecules in medical situations. Perhaps the most groundbreaking of these are studies revolving around cancer. The American government website for cancer states that cannabinoids demonstrate antitumour activity. Other research suggests that medical marijuana may be of benefit to Alzheimer’s patients, showing that THC may slow down the production of proteins, that cause buildups in the brains of patients, and may actually reduce the amount of these toxic proteins. It is quite astounding to realize, that the body features a system, that responds to the compounds within an external plant in such a fundamental and extreme way. What catalyzes further interest, is the fact, that there are over 100 cannabinoids within the cannabis plant. THC and CBD are the most well known and well studied, however, this does not mean, that the others have no medicinal use. Prohibition and illegal status has meant that researchers have had a hard time when it comes to studying cannabis. However, with these bans lifting in many different countries, research may become far easier. Even with such shallow research, cannabis is creating a storm in the medicinal world. One can only imagine the outcome from thoroughly studying the endocannabinoid system in much more depth, along with the other cannabinoids that exist. 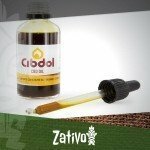 » Lots Of New CBD Products In Our Assortment! » Rick Simpson Oil vs CBD Oil: What's the difference?